"We provide custom manufacturers with the tools to measure and increase productivity and profits." http://lovemydogresort.com/?search=comments-viagra-wiki-drug You may be surprised at how easily you can get started with Tractivity. follow url We’re confident you will be delighted with our software when you experience it with http://www.pmiarts.com/IntDanstheater/ViagraInformation/ your data in http://cherylsternmanrule.com/wp-content/themes/twentyten/finasteride/ your business. follow Our subscriptions have no term contract and may be upgraded, downgraded or cancelled at anytime. order no rx real cialis Get your questions answered. 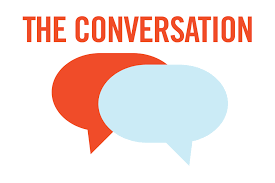 Click Here to Schedule a conversation with a product expert. See the software in action. 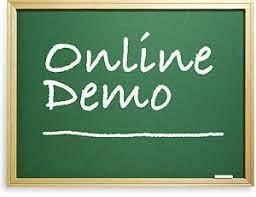 Click Here to Schedule a web demo with a product expert. Capture labor transactions from anywhere including the office, shop or across town. Simple and easy data capture methods provide employees with freedom from manual tracking methods. Consolidate labor measurements and payroll preparation to eliminate hours of payroll tracking headaches. Apply your custom rules to keep track of payable hours, accrued time off, holidays and other HR details. Multiple levels of cost reporting equip managers to drill into the details that drive costs. Configure metrics that fit your business and be continuously informed. Gain complete control over your material purchases, stocking and job requirements. Know exactly what you need, when you need it and who to buy from. Account for all materials whether on-hand or charged to a job -instantly. Connect directly with Vero Cabinet Vision to automate the business flow without data entry. Connect directly with KCD Commander Software to automate the business flow without data entry. Integrate with Intuit QuickBooks with customer defined integration choices automate the sharing of customer, job, employees, timesheets, materials, purchase orders and more. Automate the work assignments based upon the actual skills and equipment requirements for all committed jobs. Know today when you will be able to deliver each job allowing management to smoothly adjust resources or customer expectations. Create an estimate within the same system that all measurements and costs live. Won estimates can easily be analyzed and compared to expected profitability. Track the products or all the way down to the individual parts and components. Unlimited customer defined “stages” or “locations” provides the right ‘fit’ for your company.